Kendrick Lamar and Drake lead the way in nominations ahead of the 61st Grammy Awards with Dua Lipa among the smattering of British nominees. Lamar scored eight nods thanks largely to his work on the soundtrack for Marvel’s blockbuster superhero film Black Panther. 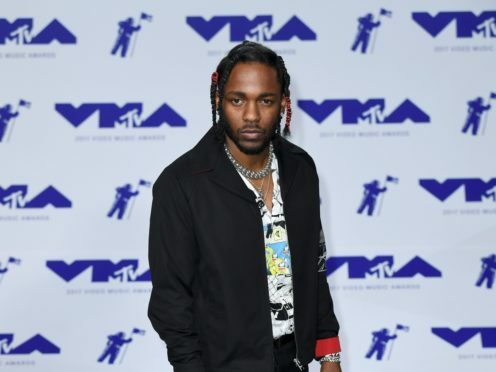 Black Panther: The Album, Music From And Inspired By is up for album of the year while All The Stars, a track from the album, earned Lamar a record of the year nod. Should the soundtrack win, it would be Lamar’s first album of the year triumph after losing three times. The album category features five female nominees from eight, a marked difference to 12 months ago where women were largely shut out of the major categories. Cardi B’s debut effort, Invasion Of Privacy, is in contention, as is Janelle Monae’s Dirty Computer, Brandi Carlile’s By The Way, I Forgive You, Kacey Musgraves’s Golden Hour and H.E.R’s self-titled album. Drake earned a nod for Scorpion, as did his fellow rapper Post Malone with Beerbongs & Bentleys. Canadian Drake is also up for record of the year for his hit track God’s Plan, which spent nine weeks atop the UK singles chart last year. Cardi B scored one her five nominations in the same category for I Like It, while Rockstar, Malone’s huge hit with the currently detained 21 Savage, is also nominated. Shallow, the hit song from A Star Is Born, earned Lady Gaga and Bradley Cooper a record of the year nod, alongside Brandi Carlile’s The Joke, Childish Gambino’s politically charged This Is America and The Middle, a collaboration between Zedd, Maren Morris and Grey. British talent has not fared well this year. Lipa, who burst on to the scene with the song New Rules, is nominated for best new artist alongside Walsall’s Jorja Smith. London-born Ella Mai, the rising R&B singer who has enjoyed greater success in the US than her home country, has two nominations for her single Boo’d Up. Singer-songwriter Seal is up for best traditional pop vocal album and the Arctic Monkeys are nominated for best alternative music album for Tranquility Base Hotel + Casino. Gaga is up for a total of five awards and will be among the performers on the night. Ariana Grande, who did not earn a nomination in any of the major categories, will not be attending the show after a disagreement with the Recording Academy. She accused producers of trying to exert too much control over her proposed performance. Kanye West earned one nomination in the producer category while two-time album of the year winner Taylor Swift also earned one nod, with her Reputation up for best pop vocal album. Major snubs include Carrie Underwood, Sam Smith, Migos, Nicki Minaj and late rapper XXXTentacion. Recordings released between October 1 2017 and September 30 2018 were eligible for consideration. The 61st Grammy Awards will take place at the Staples Centre in Los Angeles on Sunday.